blog – Page 5 – Cheryl Sleboda – Textiles. Technology. Texture. Teacher. 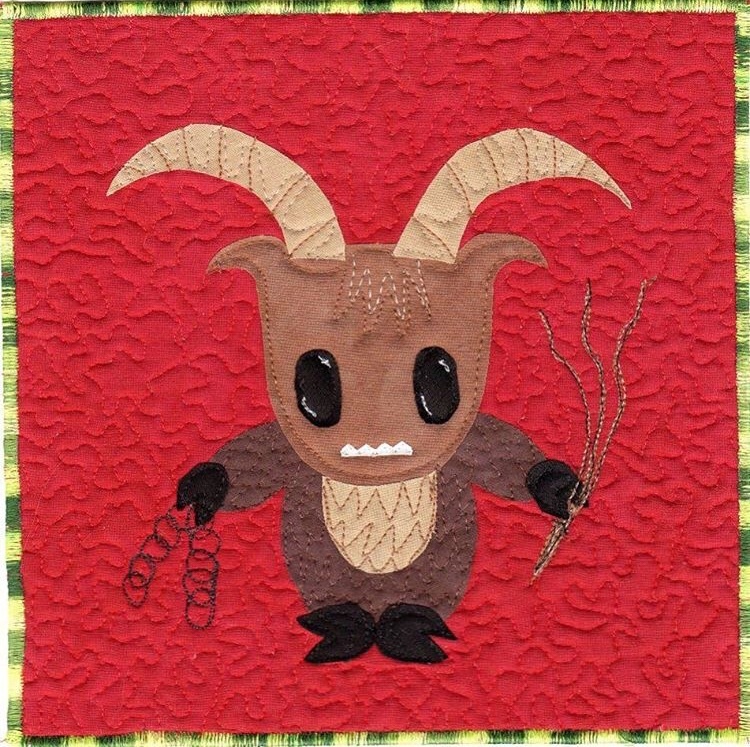 Houston Quilt Market/Festival 2018 was a good year. At least it was for me. 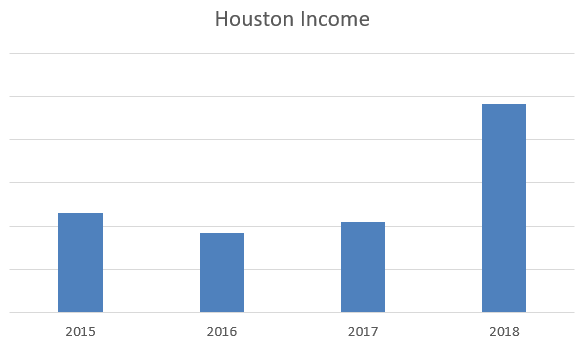 My income was up 130%! Now that is because I taught a lot of classes, and my enrollment, while not FULL, was pretty decent. 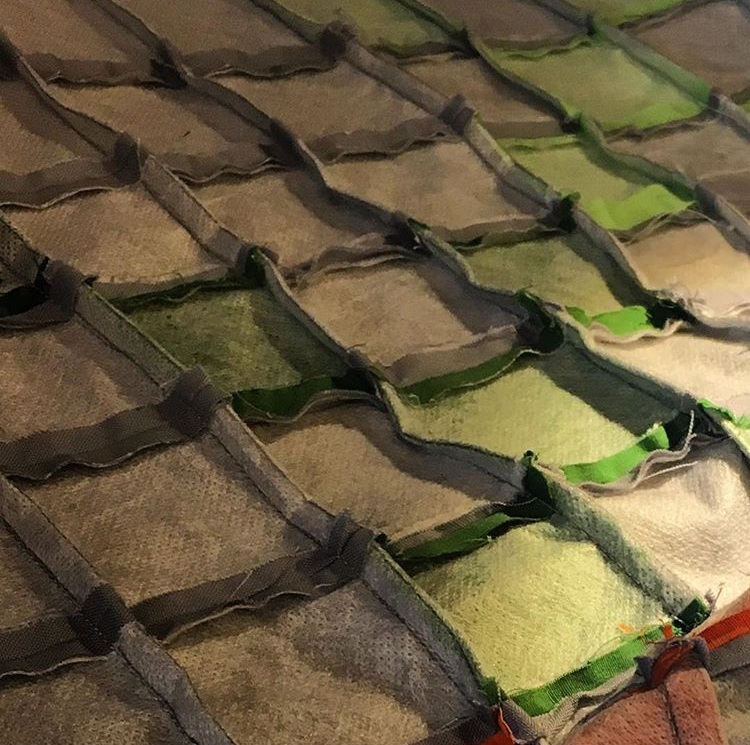 Enrollment for me was better than last year, and having more classes meant I could have more of an opportunity to sell my products to my students. 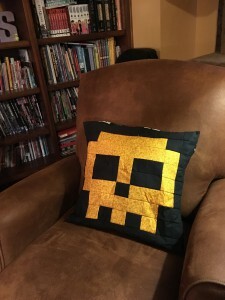 There were things that I did in previous years that I didn’t do this year which also affected my income numbers, like having my product for sale in other booths on the show floor, etc. While I think that was a factor last year, it did not hurt me at all this year! Let’s compare this to expenses now. 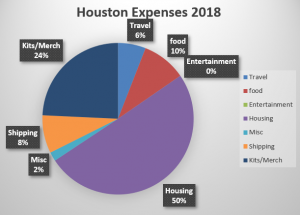 My expenses were up this year by almost 25%. 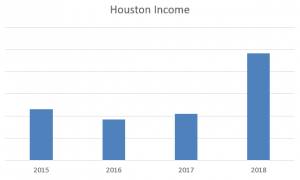 Housing costs seem to keep rising in Houston, and there’s a real shift from other teachers to go to Air BnB from traditional hotels. I stayed with someone else in my hotel room, and my hotel had a free breakfast and an evening happy hour that included snacks. Typically, I brought some food from my breakfast (like yogurt, fruit, and milk) as my lunch each day, so that helped keep my food costs down. As you can see, housing continues to be the biggest expense in going to Houston. My shipping costs were also up this year, which is getting the teaching freight to the show. I already max out the number of luggage bags I bring, so I always have to ship something. More classes, however, meant I had to buy more ahead of time for students for their kits, and that was up this year. 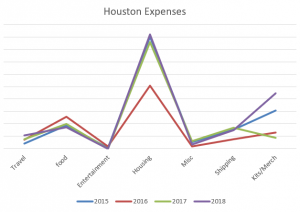 On this chart you can see how the expenses rank year over year. I had a third roommate in 2016 which brought down that year’s housing. I no longer go out or buy much at the show, so my “entertainment” value has been super low (read $0!). While in year’s past it was a much closer race between income and expenses, this year the hustle paid off. I put myself in for as many classes as I could possibly teach. Every slot for a teaching opportunity was filled. I asked to be booked up and it paid off. Literally every other teacher mentioned to me that I was “crazy” or “insane” to take on 11 classes over 7 days. It was a LOT of prep work. Luckily, I have lots of processes in place to make proposing, packing, and prep for classes easy. I have Dad’s help when it comes to getting Merchandise and Kits for students ready and packed. I worked HARD… It paid off. Many other teachers just may not want to work that hard, but this is MY ONLY JOB. MY ONLY INCOME. If I don’t teach, I don’t earn, and I don’t eat. Or my cats don’t eat. Or have roofs over our heads. Or clothes on my back. 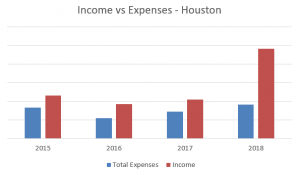 Last year, I noted that if you thought that the income doesn’t outweigh the expenses or the hassle, I didn’t necessarily agree with that then, and this year seemed to help prove me right. There are many many intangibles about teaching at Festival and exhibiting or even just attending Market that make it worthwhile to go. As I teach, I become more well known. As I become more well known in the industry, more people want to take my classes, and the more booked across the country I become. There’s many points of data I would still like to track, such as classroom attendance and more. This isn’t the first time I have given you a peek inside the numbers. 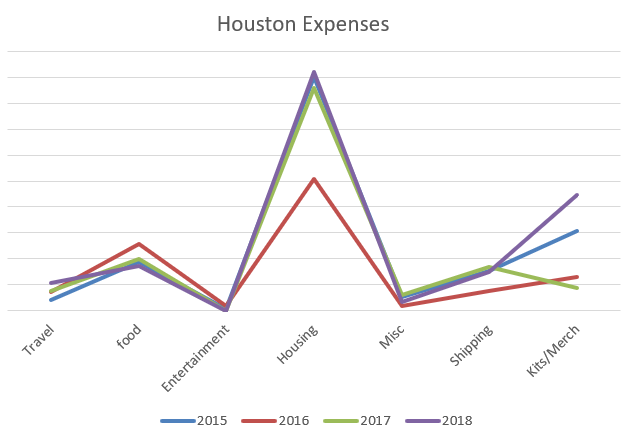 You can read my 2015 overall income analysis here, my 2016 yearly expenses analysis here, and last year’s Houston Market/Festival analysis here. 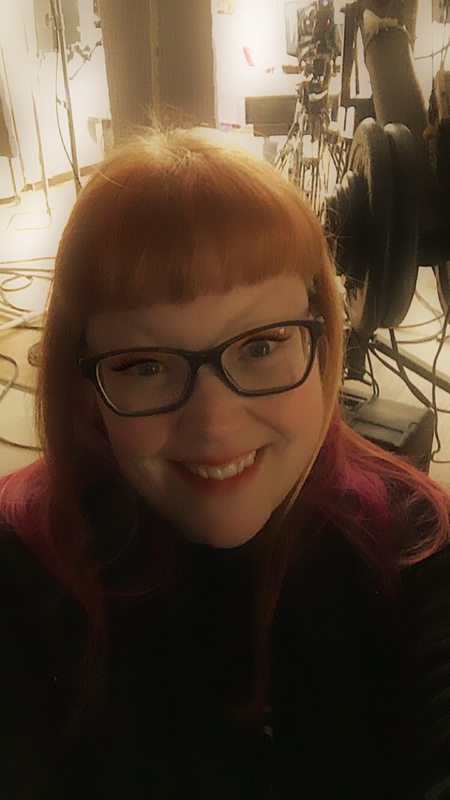 I’ll have more closer to the end of the year as I catch up on my accounting, and let you know what a full year of solo-preneurship looks like! 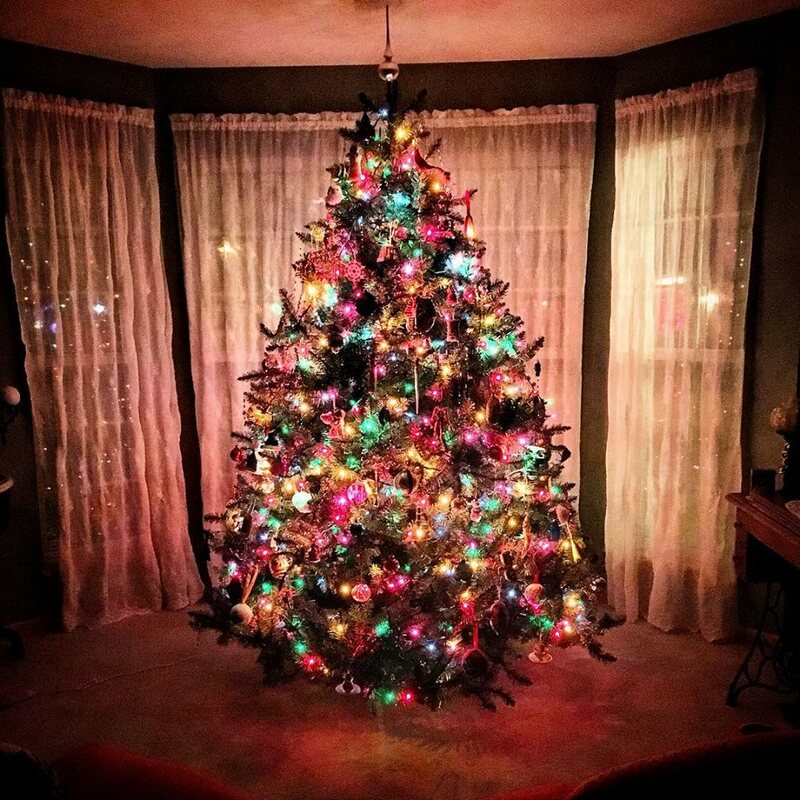 Day 8 – The tree is up…and come see me in Naperville IL! 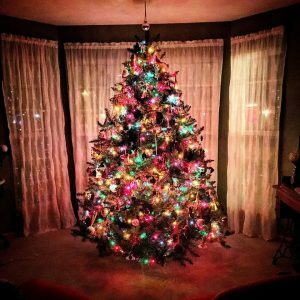 Dec 08, 2018 Muppin Comments Off on Day 8 – The tree is up…and come see me in Naperville IL! 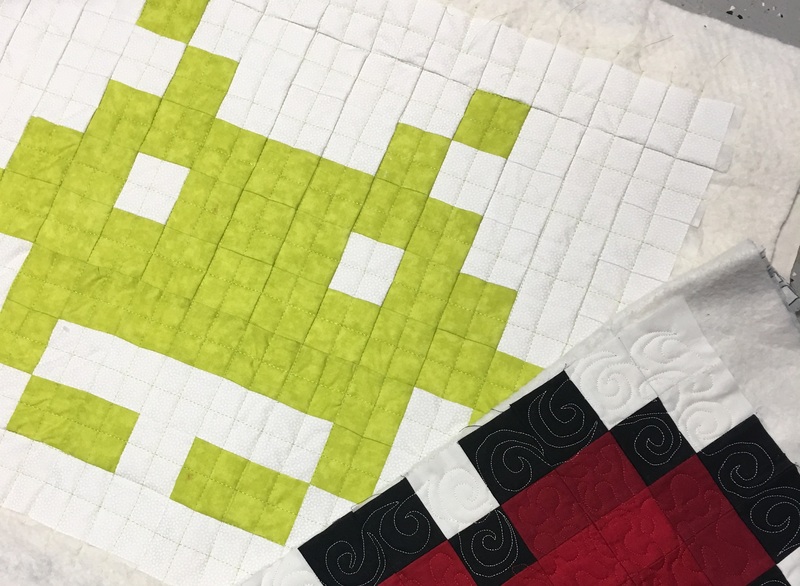 There’s one more trip this year on my list, so if you are near Naperville, IL on this coming Tuesday night, come see me lecture about “Not Your Grandmother’s Quilter” at the Riverwalk Quilters Guild! I finally got my tree up and I realized that I don’t own a tree skirt. I used to use a specific blanket under the tree but that blanket no longer lives at my house. So I need a good tree skirt… Any pattern suggestions for me? Also, I have SOOO much to do during my upcoming break, that it’s not really a break at all. 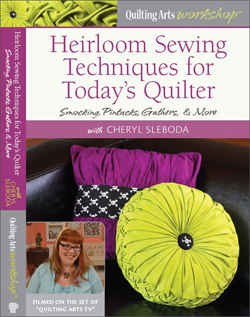 I’m very much looking forward to doing a small amount of personal sewing during that time! Day 6 – Quick update from tv land! 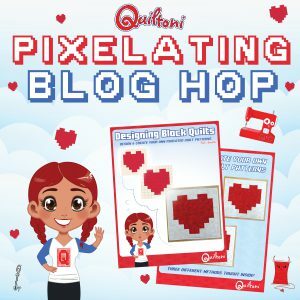 Dec 06, 2018 Muppin Comments Off on Day 6 – Quick update from tv land! It’s a wrap! 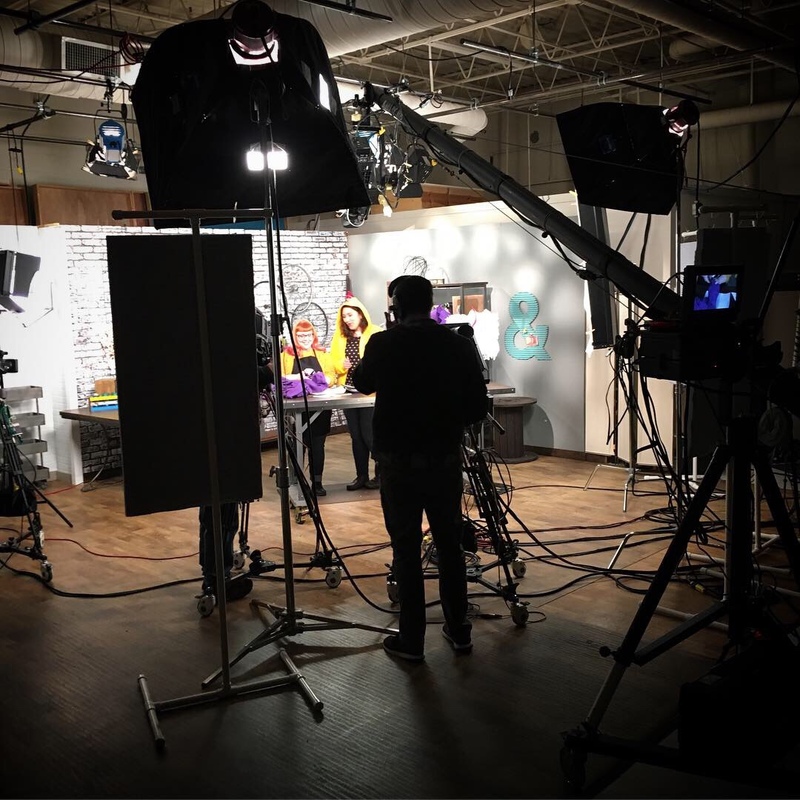 I can’t wait to show you my newest segments for Make It Artsy, a tv show that airs on PBS and the Create cable channel. I had a long drive back, and one more trip this month. Stay tuned for a cool post tomorrow that includes a giveaway!